Although the second YotaPhone turned out to be a commercial failure and Russian company Yota Devices also teased a few new products that never materialized in the meantime, they have just confirmed that a third YotaPhone is currently under development. Having a dual display smartphone was and still is, at least in theory, quite handy. Unfortunately, modular smartphones are also a great idea in theory, but none of these two design approaches managed to deliver a successful product so far. However, Russian company Yota Devices seems ready to give it another try and claims to be working on a third-generation YotaPhone. A comment posted on the YotaPhone Instagram account last month was recently brought to TechRadar's attention, and now we can only hope that Yota Devices reveals some details soon. The rough translation of this comment says "Thank you for your interest in our product. At the moment, we are developing the third generation of the smartphone. Follow us on our official group. Sincerely, The Yotaphone Team." For now, Yota Devices still needs to deliver Android Marshmallow to those using the YotaPhone 2. Sadly, there is no official release date to talk about. On the other hand, the company teased a low-cost YotaPhone 2c back in May 2015, without following with a product since then. 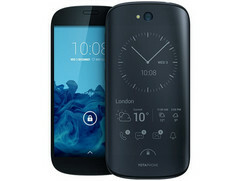 The company also revealed a collaboration with ZTE for the launch of YotaPhone 3 in early 2016.